Jennifer Hawkins fronted a young and playful range for the department store. The cute prints, flirty shapes and soft colourways are, as always, bang on-trend. Think a Moroccan boho vibe, plunging necklines and eye-catching leopard and tropical prints for the model's Spring 2014 range. While denim is our go-to material over the colder months, Wrangler is here to remind us just how well summer denim goes down. Does anything embody the ease of ideal summer dressing better than this simple garment? We've got some good news for Zimmermann fans. 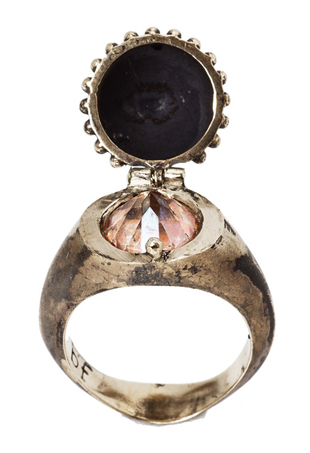 Revisiting Beaufille's spring/summer 2014 jewellery line is a throwback in more ways than one.